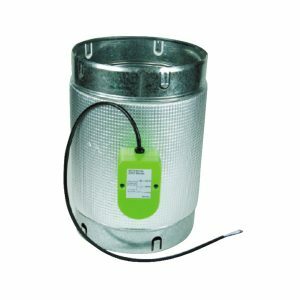 Metal damper with additional 240v actuator. This mechanical shutter is perfect for zoning requirements for a heat transfer system. Its 240v so would require an electrician to wire the damper to a switch. 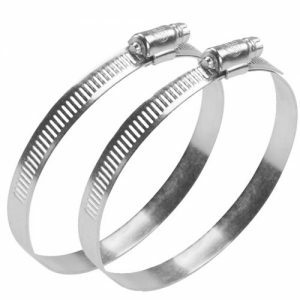 This will give you the ability to open/close the damper as and when required. This is particularly useful if you wish to shut off a branch of a heat transfer kit (eg if its a spare bedroom seldom used for example). 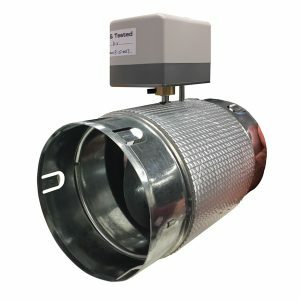 This kit consists of a 250mm metal zone damper and 240v actuator – read the 'installation example' tab below for more information and example diagram. This is a single room option only – multiple room zoning requires more components and would incur a consultancy fee for us to put together the necessary kit. If you are interested in this please contact us. Please Note: Picture is for illustrative purposes only. This kit consists of a 150mm metal zone damper and 240v actuator. 3 steps reversible speed controller for use with the Vitro range of exhaust fans (fitted with transformer). Installation would need to be carried out by a qualified electrician. 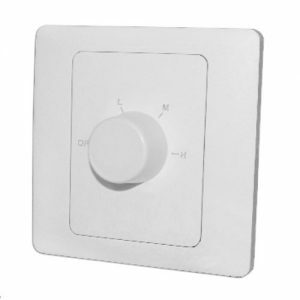 The wall mounted Humidity Sensor automatically activates the exhaust fan when humidity levels reach a pre- determined level, reducing moisture in the home and helping to prevent condensation and mould. 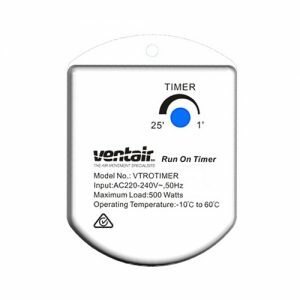 The Ventair Motion Sensor and Timer operates with all new and exisiting Ventair exhaust fans. 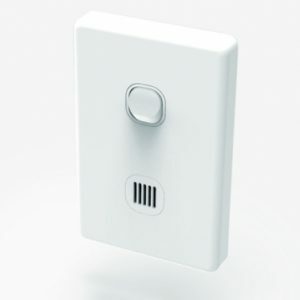 The motion sensor component uses high quality infrared technology to detect signals of someone entering an area of up to 5 meters. The run on timer will work for 1 to 20 minutes of time before switching off. 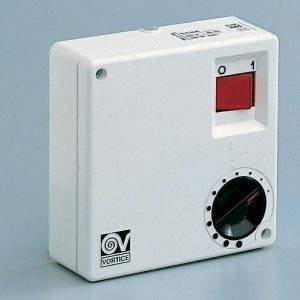 The Variable Timer runs for approximately 1-25 minutes (can be adjusted) after switching off, to clear steam and odour once you leave the room. 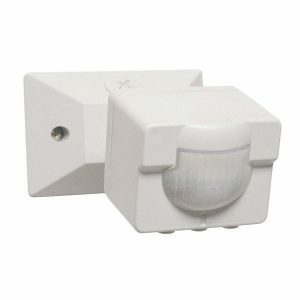 The Alphalux 180 Degree Motion Sensor will allow you to have motion triggered lighting or act as a safety and security precaution. Adjustments can be made to the length of time the sensor remains on after being triggered. 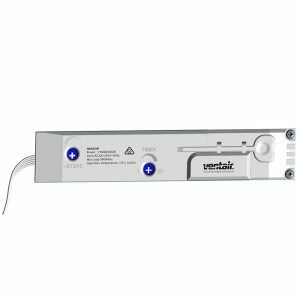 This can vary from a minimum of 5 seconds to a maximum of 7 minutes depending on what is preferred in a particular location. Once adjusted it will have an immediate effect. Adjustments during the ON cycle should be avoided. This feature will help to determine at what level of background light the unit will function. For example if dial is moved to the sun position the unit will trigger under full daylight conditions and at the moon then it will only trigger in complete darkness. Therefore, if three quarters between the sun and moon then triggering will occur at dusk. Initial setup should be done at the time of day you require your lights to illuminate to ensure trigger accuracy to preferred light level. This function enables control over the distance at which the unit will detect movement. 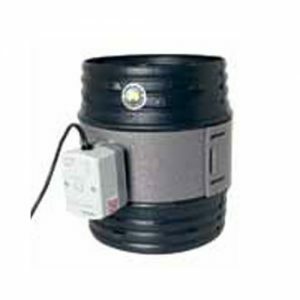 Range available to user is a maximum of 10 metres and a minimum of 1 metre. Finding an ideal location will assist you in avoiding nuisance triggering. This includes not mounting it close to electrical devices, fluorescent fittings, remote control operated doors, reflective surfaces. Unit should be a minimum of 2.4 metres above monitored area for best performance and to minimise false triggering of most animals direct above their expected height. This product must be installed by a qualified electrician and in accordance with appropriate wiring rules and regulations. 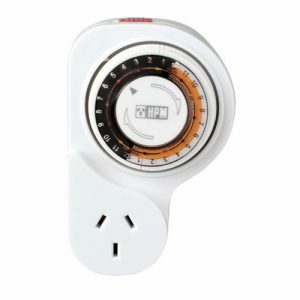 A simple plug in 24 hour timer, allowing you to specify desired operation time. Push down segments between desired ‘ON’ and ‘OFF’ times. One segment represents 15 minutes of ‘ON’ time. Rotate dial to align present time with pointer. Insert into powerpoint and switch on. To override programme, switch to ‘I’. A three position switch designed for use with the TT Mixflow Inline fan or VKP Minibox. 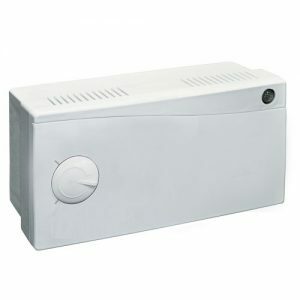 The speed controller is used for speed switching of domestic fans which have multispeed motors. 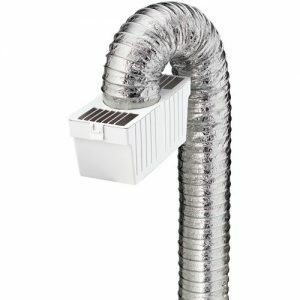 If using this product with an exhaust fan that comes with a lead and plug, please consult your electrician. 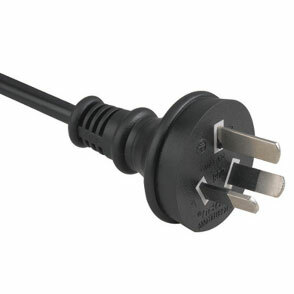 In most cases the lead and plug will need to be removed from the fan in order to use this switch. 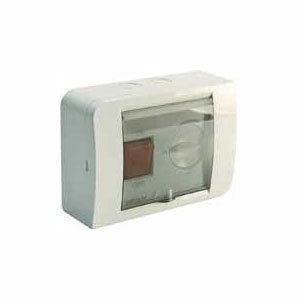 Martec’s RF (Radio Frequency) Bathroom Heater LCD Remote Control suits all Martec Bathroom Heater 3 in 1’s. 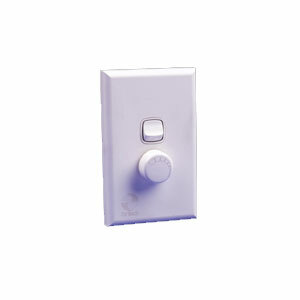 Able to be fitted as an after market Remote you can change from a standard wall switch to LCD remote option very easily. 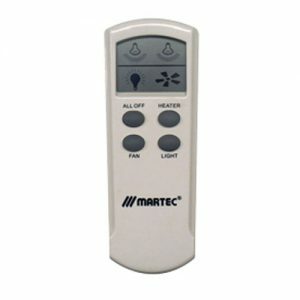 The Martec premium Bathroom Heater LCD Remote Control is both stylish and of course of the highest quality, featuring Full or Half Heat option (4 Heat Models Only, 2 Heat Models is Full Heat Only), Light On/Off, Exhaust Fan On/Off and a handy All Off function for turning everything off when leaving the bathroom with a single press of a button. 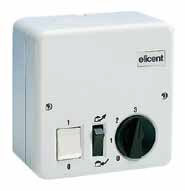 It also has a 30 metre RF operational range, and makes installation so much easier for the electrician.